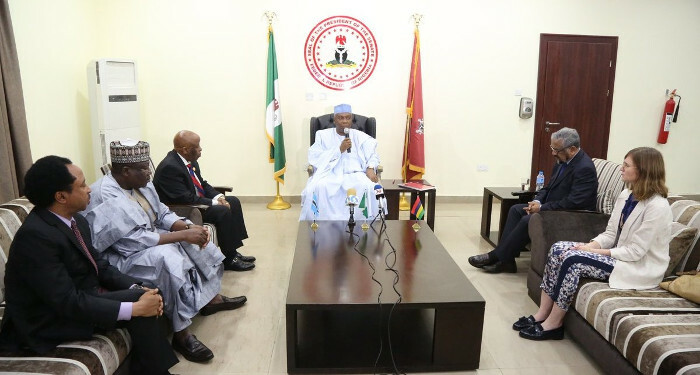 Terrorism: Club de Madrid can offer solutions – Saraki – Royal Times of Nigeria. President of the Senate Dr Bukola Saraki has said that leaders in Africa has a lot to learn from Club de Madrid to help it stamp out extremism and terrorism. Saraki who spoke through his tweeter handle @BukolaSaraki said that African leaders and public servants must continue to consult with leaders who had been there before to learn some lessons in leadership. World Leadership Alliance-Club de Madrid commonly called Club de Madrid are democratic former presidents and prime ministers from around the world. The President of the Senate added: “Yesterday, I met with members of Club De Madrid, led by former President Cassam Uteem of Mauritius, and former President Festus Mogae of Botswana. “Our discussions centered around ways that we can learn from the past experiences of other African leaders in our quest to stamp out domestic extremism and terrorism in all its forms. “As African public servants, it is necessary that we build on the knowledge, networks and experiences of those that have served before us. “Hence, we will continue to learn from and consult with the Club De Madrid from time to time, as well as work to emulate their successes and implement their recommendations,” he said. Since they are no longer in office, they now represent their personal leadership experience and commitment and not their countries or parties. They are therefore freer to share their experiences while still keenly aware of the pressures and problems faced by today’s leaders.